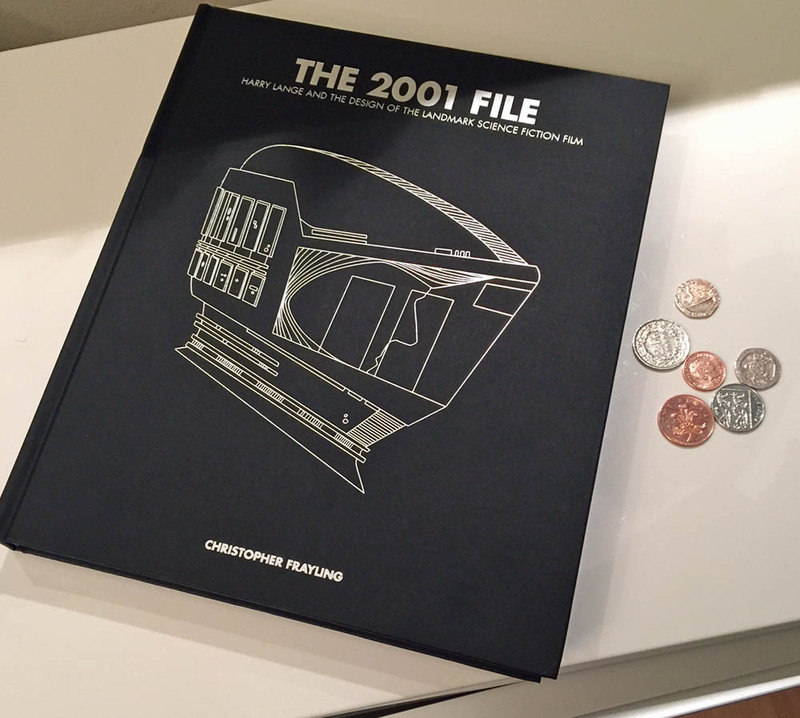 Today I received my pre-ordered copy of The 2001 File, the Harry Lange design archive. This is a review of it. Initial impressions are good, the book is heavy, with lots of pages. I was a bit surprised at the lack of a slip cover though. But the meat of it is, of course, the illustrations. It is VERY heavily illustrated, and the vast majority of the pictures are new to me. The pictures main focus on the design history of all the major elements in the film, with many, many alternate designs that never made it into the finished film. In many cases there are quite literally dozens and dozens of alternate designs, and it it genuinely fascinating to see how some fairly crude early attempts evolved into the iconic finished versions. The illustrations are mainly line drawings or plans – there are some colour photographs, but these are not at all well presented, being more than a bit blurry in most cases. The plans and diagrams make this an essential purchase for someone like me, and astronomical artist. I;m less show about the value to a more general audience, but if you love the design of the film, you will likely find it very satisfying. I’ve not yet had a chance to read the text properly, but I did notice one mistake – an Ion Spaceship design by Erst Stuhlinger is described as a “Cruciform Space Station”. But speaking for myself, I am very happy to have it, and I am already twitching to turn some of the deigns into fully realised CGI!